I’ve got some fun ideas for summer in the post for you (and you better believe I’m using these this summer for my own boys!). Fort? Armor? Spaceship? Awesome dragon costume? The possibilities are pretty much endless with cardboard. And I don’t know about you, but we have a perpetual stack of Amazon boxes in our garage. 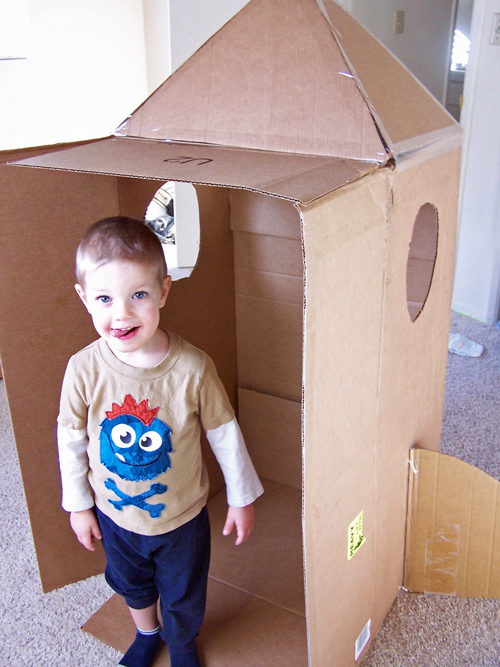 Give your kiddos some boxes and let them have at it. To say we’re a fan of papercrafts would be an understatement. It’s amazing how a little bit of paper can inspire so much creativity and fun in kids. I’m always gathering printable crafts I find online and adding them to our craft folder. Whenever the boys want some crafts to do (or I need a few minutes of peace), I pull some out. Bonus points if you can’t resist joining in on the fun, too! 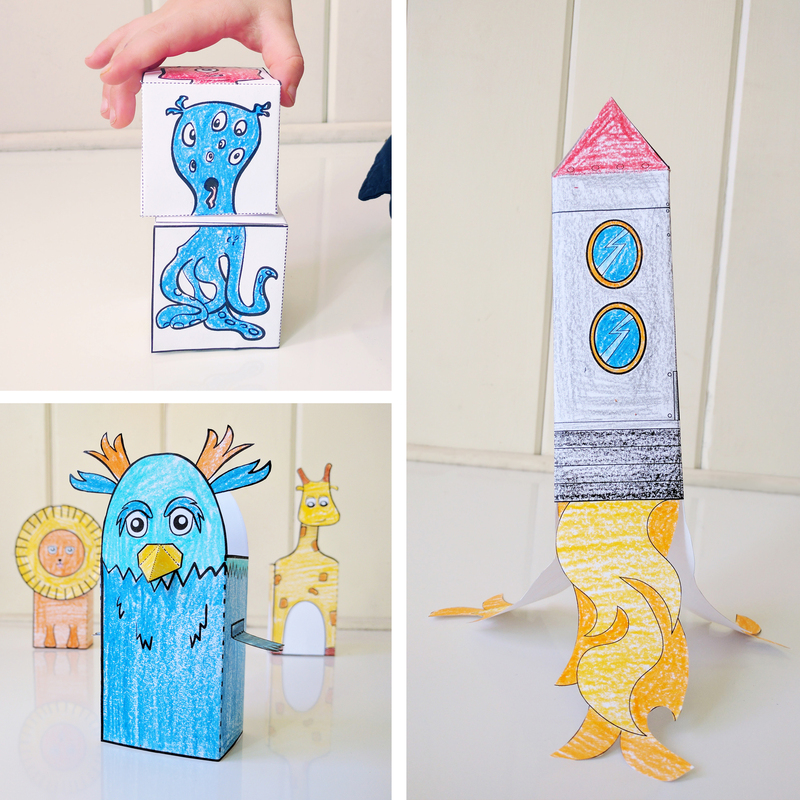 Pictured: Monster Blocks, Printable Animals, and Papercraft Rocket from my Printable Papaercraft Pack. 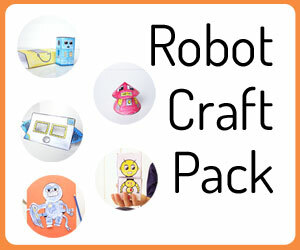 I sell an entire pack of printable papercrafts here. And you can find tons of free printable crafts in my archives as well. Every once in a while, everyone just needs some time to relax and play quietly, and audio books are a great tool for that. While I love reading out loud to the boys, sometimes mom’s voice needs a break! Often the boys will build Legos or play quietly on their beds, while I sit on the floor and work, and we’ll listen to different books together. This was the book that sparked my love for reading as a kid. When I was still struggling with reading in the 3rd grade, my mom started reading this book out loud to me. We love this audio book version of the book – the voice acting is awesome, and the sound effects really make it come alive. One of the things I love the most about getting Magic Treehouse books with Audible is that they come in sets together, rather than having to purchase them all individually. The boys love listening through these. I’ve started reading this to the boys so many times, but haven’t managed to get through it all the way. This summer we’re trying out the audio book version. Another one of those that comes in a handy set! The boys have seen The Lion, The Witch, and the Wardrobe, and I’m excited to listen to this book series with them. This is kind of a taboo suggestion in the parenting world, isn’t it? We’re big believers in the fact that not all screen time is created equal. One of my kiddos zoning out to 30 minutes of a show on Netflix isn’t really comparable to spending 30 minutes building something creative in Minecraft with his brother. We try to teach our boys a healthy balance in their interests. Giving your kids some creative things to do on the computer can really build some valuable skills. As long as you balance it well with other things, it can be an incredible tool! 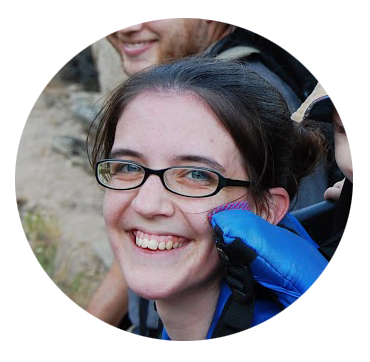 Have a kiddo interested in gaming? 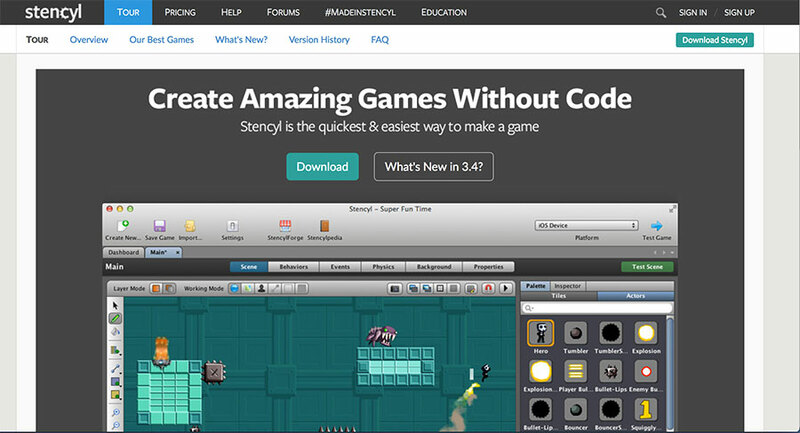 Even my 6 year old could follow along with the basic tutorial instructions and create his first game using the free version of Stencyl. 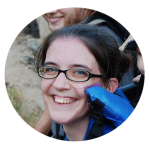 There’s a lot of complicated things you can do with this program, but the basics are a great place to get started. Minecraft – I love seeing what crazy creations my boys come up with together. Not only does it build their creativity, but it also forces them to find ways to work together. 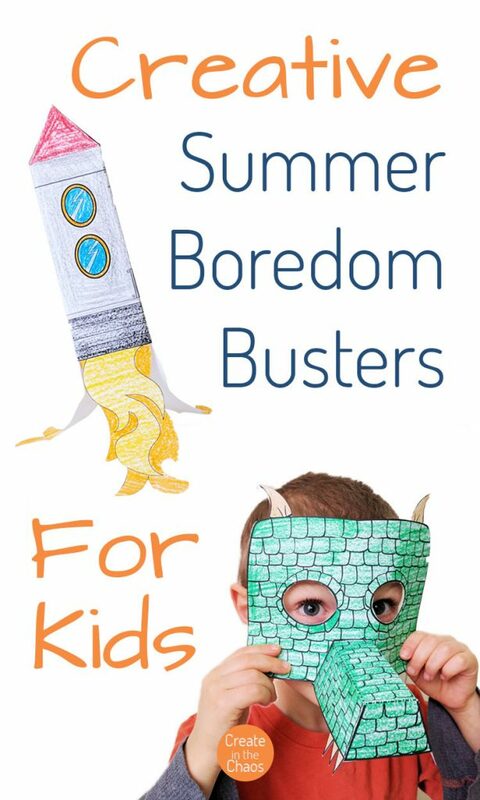 Wait a second…wasn’t this supposed to be a list of boredom busters? Why yes it is – and one of the biggest boredom busters of all is giving your kiddos the freedom to be bored. Don’t be afraid to let your kids be bored and figure out what to do on their own. 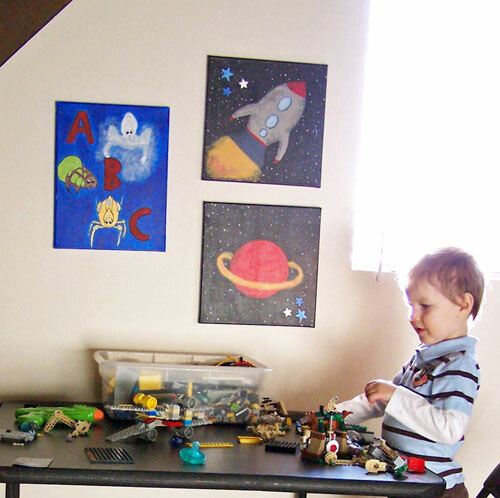 It can be a perfect catalyst for creativity, and you may be surprised at what your kids come up with to do. What are some of your favorite summer activities for kids?